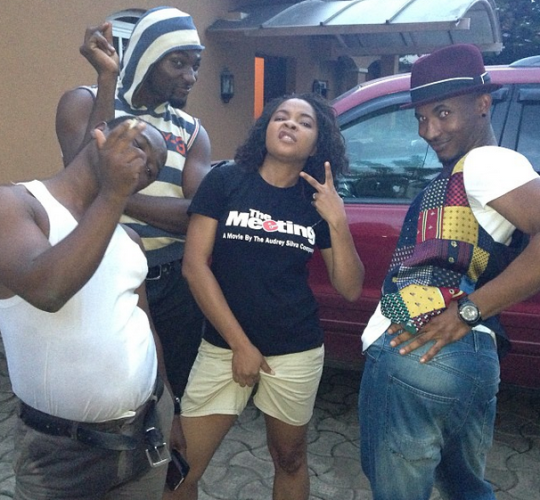 Tinsel stars, Gbenro Ajibade, Linda Ejiofor and Gideon Okeke fooling around on set of their soap. Choi, check out Gideon's pose, werk it girls!!! !